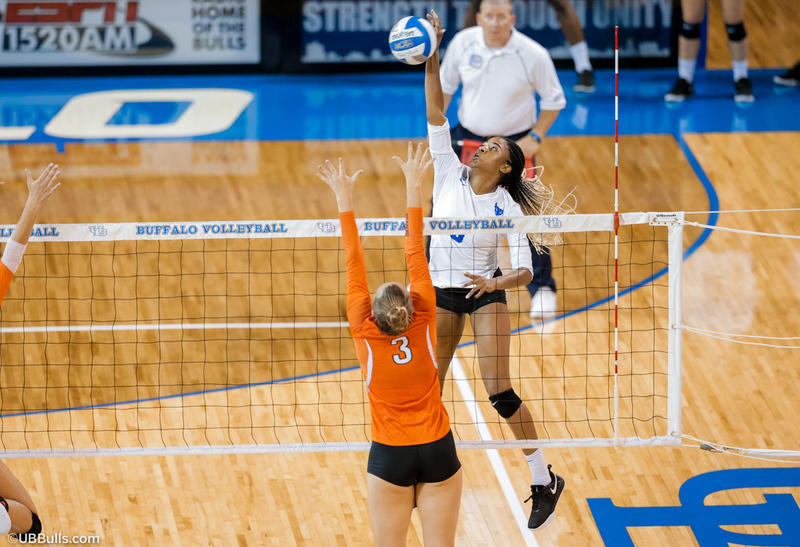 BUFFALO, N.Y. -- For the first time ever, the University at Buffalo volleyball team picked up a win in Kalamazoo as the Bulls defeated Western Michigan, 3-1. It was just the third ever win for the Bulls against the Broncos and the second straight year that UB has defeated WMU. Buffalo improved to 11-8 with the win and 3-4 in league play.